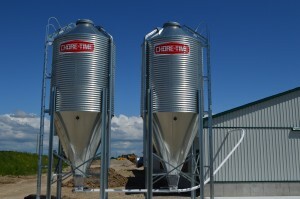 Countyline offers a variety of solutions to fit any budget for your on-farm feed storage. 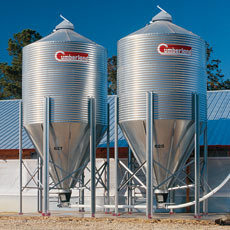 Ranging from economical bolt-together galvanized bins to premium powder-coated welded steel bins. 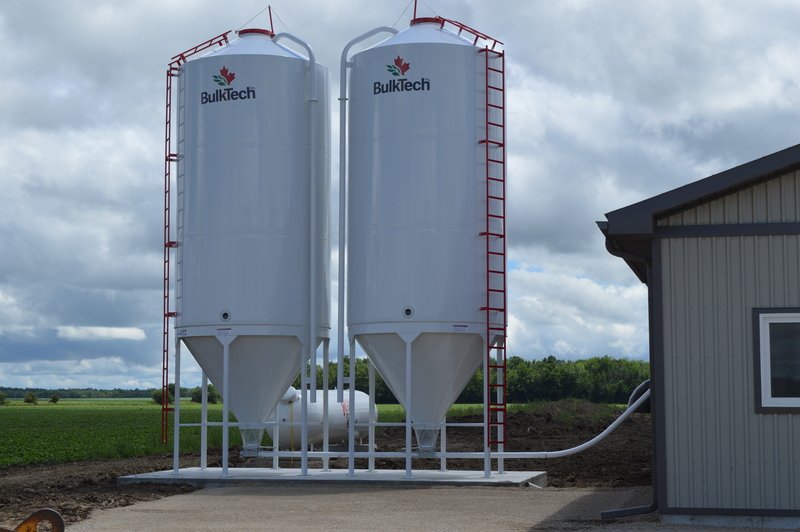 We also carry Poly feed bins which are perfectly suited for premixes. 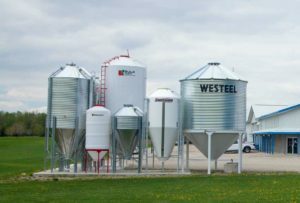 Cumberland is a part of GSI, the world’s largest manufacturer of corrugated, galvanized steel storage tanks and has over 35 years of bin manufacturing experience and technology. Engineered for strength, finished for durability. Transparent tank allows you to view your feed level at any time. Flex auger systems are a very popular way to deliver feed from the storage bin to livestock. Whether you need to get feed to your poultry pan feeders, sow drop feed systems, finishing feeders or dairy robots, flex augers are adaptable to most any situation. Countyline stocks over 3000’ of auger in a variety of sizes to suit your needs. 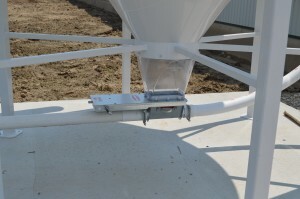 Countyline also carries galvanized rigid augers for higher capacity feed delivery. Nothing beats AP's Flex-Flo™ Feed Delivery System in flexibility and adaptability. This system adapts to a variety of configurations and capacities to meet today's demanding production requirements. 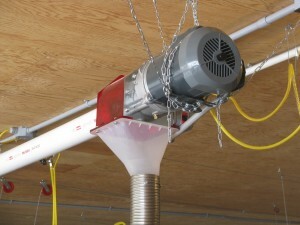 Chore-Time invented the FLEX-AUGER® Coreless Auger Feed Delivery System in 1961. 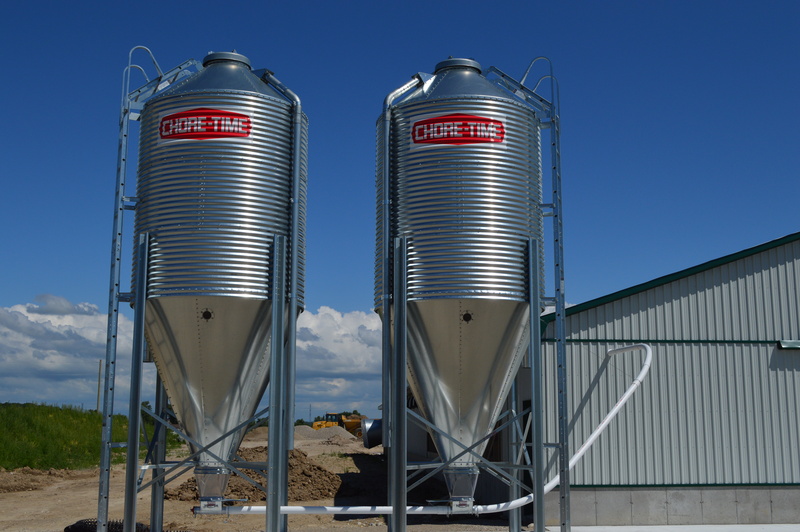 In the years since then, Chore-Time’s FLEX-AUGER System has proven to be the most reliable and best system ever devised to deliver feed.